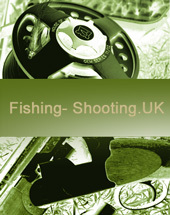 If you are interested in any of our fishing, shooting or stalking listings, please contact us by phone: Nigel 017683 51593 / Paul 01325 718420 or fill in and submit the enquiry form below. Please also use the form to register your interest in specific sport, and we will contact you when something suitable arises. Register for Email Newsletter - You may also wish to register for our email newsletter. Just fill in and submit the contact details of the form, remembering to check the "I wish to receive regular updates" box, and we will place you on our email list. Details of new listings will be sent to you on a regular basis. On every email you will be given the opportunity to opt out of receiving further information.